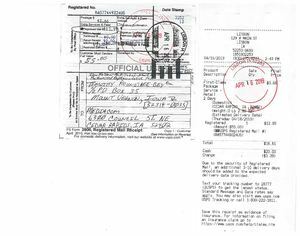 Calaméo - "4th Notification Affidavit" Via USPS REG. MAIL, M.O., and Returned tender, TO MEDIACOM, at 6300 Council St. NE Cedar Rapids, IA 52402, sent on 04-16-2019. "4th Notification Affidavit" Via USPS REG. MAIL, M.O., and Returned tender, TO MEDIACOM, at 6300 Council St. NE Cedar Rapids, IA 52402, sent on 04-16-2019.